This week, which started with Chris’ and my sixth wedding anniversary, has been about exactly two things. we had a very busy week preparing for this evening’s dance recital extravaganza. This is the first year that Nora did dance and I wasn’t quite sure what to expect — especially since we moved halfway through the year and ended up signing her up for two more types classes than she was doing in Nantucket. But after today, I could not have been more proud of her. Besides being ridiculously cute, I have to say, I was very impressed with how well Nora danced, both from memory and watching her teacher. She has continued to blossom the past few months and there was absolutely no sign of that worrisomely shy little girl from last spring. I thought my heart might burst from the joy of watching her excitedly dance around on stage. And I couldn’t help but laugh at the seriousness with which she made sure to always stay on her tape mark on the floor (sometimes stopping dancing just to make sure she was still where she was supposed to be). Just as soon as I get the DVD, you better believe there will be a video on YouTube. And as if dance cuteness wasn’t enough, I’m also excited to announce that as of today, we are officially under contract on a house. The second thing this week was all about was finding a house to help us all maintain our sanity and happiness, and after lots of online research and lots of house tours, we found one we liked. The one I shared on Instagram earlier in the week was indeed a keeper, and today we reached an agreement on price which means that if all goes well, in six weeks we will be moving again — although this time for good. I don’t think Chris and I could have given each other a better anniversary present than our very first home. 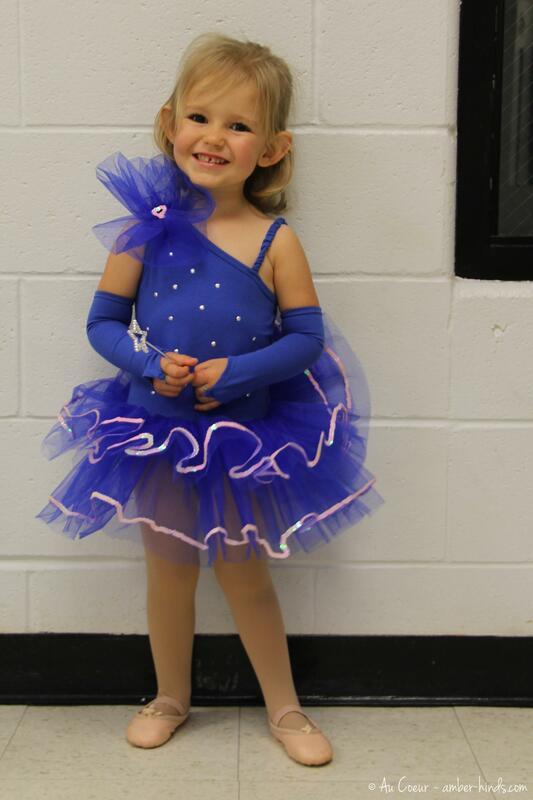 …the little dance pictures are so frieken cute…so ridiculously cute. Great photos of Nora! Did Chris sneak away from the restaurant for the recital? I checked Realtor.com and the Gillette website. The house was taken off. I thought that I’d have grandma log on, so she could see the photos. Glad everything went well. Talk to you later.